If you’re looking for metal roofing in Tampa, FL or the surrounding areas, Dynamic Roofing Concepts, Inc. is your professional roofing company dedicated to exceptional service. With over 40 years in the roofing industry, we bring our comprehensive knowledge of metal roofing to every customer we serve. We install and repair both residential and commercial roofs for a variety of clients, and we’re five star rated by the Home Services Review. Because we believe so strongly in the quality of our metal roofs, we offer 25-year workmanship warranties, which allows you to get the service you need at no additional cost. 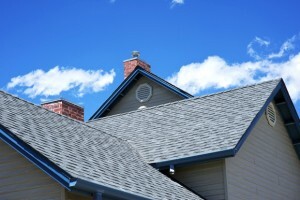 Customers choose Dynamic Roofing Concepts, Inc. because our reputation precedes us. With us, customers know they’re getting roofing in Tampa, , FL that is built to withstand all manner of weather- and time-related conditions. Our workers receive thorough training on proper installation and repair techniques, and we continually stay up-to-date on practices and products. Our commitment to excellent service is reflected in our Super Service Award from Angie’s List for eight consecutive years. If you’re interested in a metal roof, or need repair service for your existing roof, we invite you to give us a call at 813.257.9355. To get started on a commercial or residential roof in Brandon, FL and the surrounding areas, or simply for more information, contact one of our qualified representatives and we’d be happy to assist you.